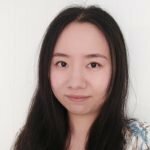 Ran Jiang completed her Master’s degree in Music Education at Western University and the Bachelor’s degree at China Conservatory. As an RCM certified piano teacher, the member of Ontario Registered Music Teachers’ Association (ORMTA), and the founder of Piano Gamification, Ran has been teaching the piano with students in all ages and levels in seven years. She believes that teaching piano is all about bringing students to the enjoyment of music and making achievements. While teaching piano, Ran is also a solfeggio and theory instructor. Her students have won multiple prizes in the piano competitions internationally, and were often recognized as “well-rounded, amazing and impressive musicians”.